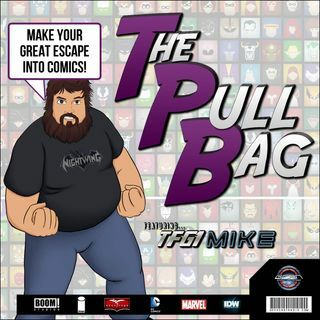 In the 112th episode of The Pull Bag A Das Baron joins TFG1Mike as they go back to Eternia! This time, before we get to The Eternity War... we cover the original DC mini digital comics from 2012. This took place before the other 2012 miniseries! This is where DCs MOTU run pretty much started. So get ready for some Eternian stories here inside The Pull Bag! And always remember to MAKE YOUR GREAT ESCAPE into Comics!!!! The post TPB – EP 112 – Masters of the Universe 8 Issue Digital Series appeared first on GeekCast Radio Network.